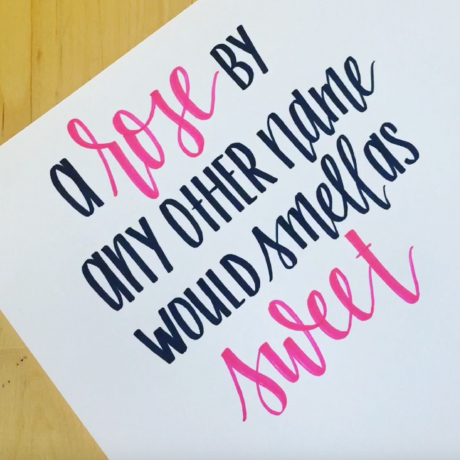 Learn calligraphy tips for beginners and get inspired by our featured artist Kimberly Jenna Simon. 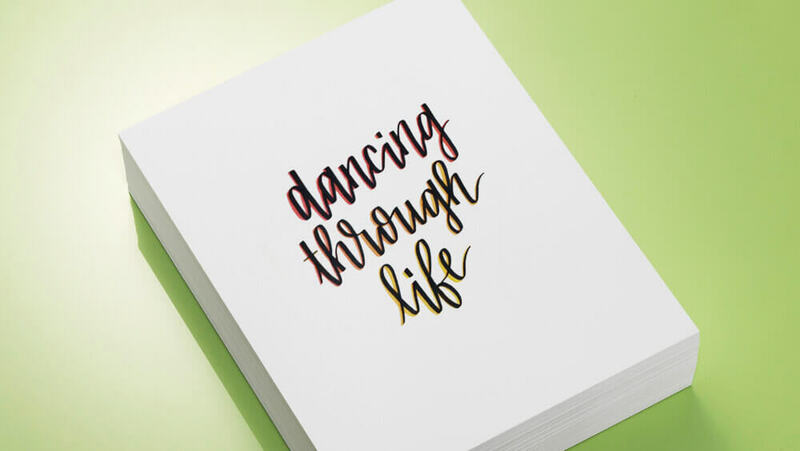 At Hammermill®, we love to share all of the creative and artistic ways people use paper. One of our favorite ways to do this, is to feature an artist that can help inspire creativity and provide helpful tips. Kimberly Jenna Simon is a calligraphy artist who shared her helpful tips for beginners with us. We love her colorful and fun calligraphy work! See Kimberly’s work in real time. Kimberly Jenna Simon (@AllWriteByMe) grew up in a small town in Connecticut. She moved to New York City for college and loved it so much that she never left! She studied musical theater and is a professional actor and singer in New York City. 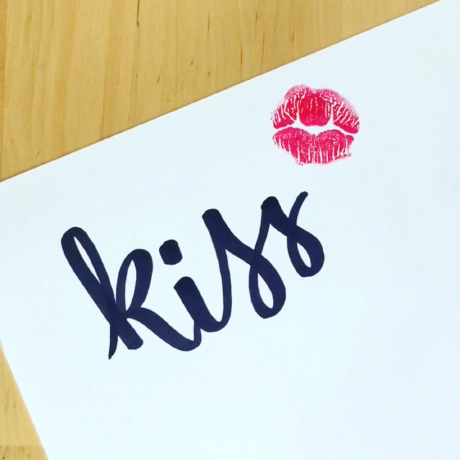 In May of 2016, she decided to pick up brush lettering as a fun summer hobby. Her friends begged her to start an Instagram, and thus AllWriteByMe was created! She set a goal to post one video every single day, and hasn’t missed a single day since August 18, 2016! AllWriteByMe has been featured on many different accounts, including the Instagram of the Tony Award-winning Broadway musical, Hamilton! Kimberly is so overwhelmed by and thankful for all of the support she has received this last year! You can check out more of Kimberly’s work on her website here. Check out our blog post Calligraphy: Creativity with Ink and Paper to learn more about calligraphy. Hammermill paper is scientifically designed and rigorously tested to perform at the highest level everytime. For over 100 years, we have been dedicated to helping people capture ideas, share thoughts, and show their work at its best at work, at home, and in school. Paper For Life. © 2019 International Paper Company. All rights reserved.